The Redwoods Community College district is governed by a locally-elected 7 member Board of Trustees. These community members offer their time and talent to ensure that College of the Redwoods remains responsive to local community needs as well as true to its mission and vision. Members are elected by Trustee Area as defined in Board Policy 2100. 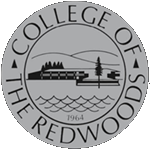 The Redwoods Community College Board of Trustees is transitioning to BoardDocs, a cloud-based board management solution. Please use the red buttons to view documents for upcoming board meetings.